Cornell University Library has a wonderful exhibit on the escalating costs of journal subscriptions. The Cornell Libraries subscribe to over 88,000 serials, a majority which are journals in paper or electronic form. Five years ago the most expensive engineering-related journals cost $4,000 to $12,000. "I made this Gigapan image from the north press platform during President Obama's inaugural address at the U.S. Capitol in Washington, DC on January 20, 2009. It's made up of 220 images and the final image size is 59,783 X 24,658 pixels or 1,474 megapixels." More details at his blog. President Obama, it seems, will be keeping his Blackberry. "President Barack Obama will be able to keep his beloved BlackBerry, an aide confirmed on Thursday, making him the first U.S. president to use e-mail regularly. Gibbs didn't offer details, but the contours of the compromise seem to be: official, work-related e-mail messages will be subject to the Presidential Records Act and the possibility of eventual disclosure. But strictly personal communications--with family, for instance--will be exempt." Monica Horten at Westminster University reports on a proposed amendment to the telecoms package. "An amendment to the Telecoms Package which supports the principles established in the Bono report is back on the European Parliament agenda for the Telecoms Package trialogues. The wording parallels that of the Fjellner-Rocard amendment to the Bono report in April last year, which established the European Parliament’s position against graduated response, and specifically against termination of internet access as a sanction. the right to privacy and the right to due process."" IP geeks will recall that the EU parliament has already passed amendment 166 once and it was quietly dropped by the Council of Ministers (for reasons unknown, though some commentators wondered whether it was an administrative error by officials). I would hope that proportionality would apply in the absence of amendment 166 anyway, though it is not a feature of modern IP law but the acceptance or otherwise, in the final telecoms package, of amendment 166 may prove a better indicator of the balance of the politics than of the law. A couple of academics from Berkeley and one from Arizona have published the results of a survey in Nature indicating, contrary to previous studies cited which indirectly without specific evidence inferred the opposite, that scientists believe that intellectual property protections are having an increasingly negative effect on biological research. A system of intellectual property (IP) rights can encourage inventions by scientists and help promote the transformation of research achievements into marketed products. But associated restrictions on access can reduce utilization of inventions by other scientists. How is this trade-off working out in practice? This question has been of particular concern for the biological sciences, where production and exchange of biological 'research tools' are important for ongoing scientific progress. Recent studies addressing this issue in the United States1, 2, Germany3, Australia4 and Japan5 find that "patent thickets"6 or an "anticommons"7 rarely affect the research of academic scientists. It is well known that biological scientists report increasing difficulties associated with access to research tools but only if the tools are embodied in physical property controlled by others and not easily duplicated. Fear of infringing a prior patent on this material, or the high cost of licensing, is rarely a factor. Reviewing this evidence, Caulfield et al. infer that "[t]he problems that the data do reveal may have less to do with patents than with commercial concerns, scientific competition and frictions in sharing physical materials"8. The emerging consensus of the science and policy literature frames the issue as "material versus intellectual property"9, 10 and considers the latter to be rarely a problem for scientists. This consensus relies on indirect inference. The literature offers almost no direct evidence of scientists' own views of the trade-off involved in IP protection of research tools. Here we report scientists' assessments regarding the overall effects of IP protection, as revealed in a survey of academic agricultural biologists. Scientists believe that, contrary to the current consensus, proliferation of IP protection has a strongly negative effect on research in their disciplines. Our respondents' answers on the details of access problems are highly consistent with those reported in the recent literature, but they ultimately relate these problems to the proliferation of IP protection in academia. Follow-up interviews, which recorded scientists' extended accounts of selected cases, provide further insights on how bench scientists experience the negative effects of IP protection (Supplementary Interviews online). They attribute problems of delayed or blocked access to needed research tools to material transfer agreements (MTAs). Academic administrators mandate use of MTAs to protect the value of the IP rights held by their institutions or to reduce their exposure to lawsuits by third parties. In short, the major impediment to accessing research tools is not patents per se, but patenting as an institutional imperative in the post-Bayh-Dole era. Our respondents do not encounter an anticommons or a patent thicket. Rather, they believe that institutionally mandated MTAs put sand in the wheels of a lively system of intradisciplinary exchanges of research tools. Seeing no countervailing effect on the supply of these tools, they conclude that patenting impedes the progress of research. These findings challenge the inferences of social scientists that there are no real problems with policies encouraging increased patenting of research tools. They also help explain why agricultural biologists have become leaders in the exploration of open source biology (BiOS, Biological Innovation for Open Society)11 and in institutional collaborations to facilitate access to crucial enabling technologies (PIPRA, Public Intellectual Property Rights for Agriculture)12. They support the widespread adoption of the Uniform Biological Material Transfer Agreement (UBMTA) for exchanges among scientists, long advocated by the National Institutes of Health13. In concurrence with previous related research, they offer no reason to continue supporting a stronger academic research exemption as urged, for example, by Cukier14." A collection of consumer and civil rights groups has sent a joint statement to MEPs opposing the proposed EU directive extending the term of copyright in sound recordings by 50 years. The European Parliament is being asked to nearly double the term of copyright afforded to sound recordings. Industry lobbyists suggest that extending copyright term will help increase the welfare of performers and session musicians. But the Term Extension Directive, which will be voted on by the Legal Affairs Committee in a few weeks' time, will do no such thing. Instead it will hand millions of euros over to the world's four major record labels, money that will come direct from the pockets of European consumers. The majority (80%) of recording artists will receive between €0.50 - €26 a year. Helping poor recording artists is a commendable aim. But the Term Extension Directive insults these good intentions. Andrew Gowers, former editor of the Financial Times, who conducted an independent review into the intellectual property framework for the UK Government in 2006, has called it out of tune with reality. Professor Bernt Hugenholtz, who advises the European Commission on intellectual property issues, has called it a deliberate attempt on behalf of the Commission to mislead Europe's Parliament. If passed, the Term Extension Directive will have serious consequences for Europe's IP policy. Any extension of copyright term will take money directly from consumers' pockets. It will also consign a large part of Europe's cultural heritage to a commercial vacuum. Europe's leading IP research centres have clearly shown the proposal does not do what it purports to do - help the poorest performers. It is simply a windfall for the owners of large back catalogues and the top earning performers. The proposal will undermine public respect for copyright law and introduce an unworkable and unproven framework for copyright, at the very time when Europe's copyright framework needs to be at its most robust. We therefore ask you to vote to reject this directive, as per Amendment 15 of the ITRE opinion (David Hammerstein). As well as EFF, Open Rights Group and Consumer Focus, the statement was signed by BEUC, the umbrella organisation representing 42 consumer rights organisations in Europe, EDRI, the umbrella organisation representing 29 privacy and civil rights organisations across Europe, and IFLA, the umbrella organisation representing over 650,000 library and information professionals worldwide. You can download the full statement here. Thanks to everyone for the great response to the cartoon we released last week. It's already had over 14,000 views, been translated into Spanish, and it's currently eleventh in YouTube's top favourited News and Politics videos (not bad for the week Obama got inaugurated). But the battle is by no means won yet - please, if you can, come to our event in Brussels next week, or invite your MEP to come on your behalf (UK residents/Other EU residents)." Obama's inaugural address is available on the White House blog. And it looks like the Whitehouse website has adopted creative commons rather than standard copyright as it's default licence. The White House respects the intellectual property of others, and we ask users of our Web sites to do the same. In accordance with the Digital Millennium Copyright Act (DMCA) and other applicable law, we have adopted a policy of terminating, in appropriate circumstances and at our sole discretion, subscribers or account holders who are deemed to be repeat infringers. We may also at our sole discretion limit access to our Web site and/or terminate the accounts of any users who infringe any intellectual property rights of others, whether or not there is any repeat infringement." Kevin Kelly thinks ownership is not as important as it once was. "I use roads that I don't own. I have immediate access to 99% of the roads and highways of the world (with a few exceptions) because they are a public commons. We are all granted this street access via our payment of local taxes. For almost any purpose I can think of, the roads of the world serve me as if I owned them. Even better than if I owned them since I am not in charge of maintaining them. The bulk of public infrastructure offers the same "better than owning" benefits. The web is also a social common good. The web is not the same as public roads, which are "owned" by the public, but in terms of public access and use, the web is a type of community good. The good of the web serves me as if I owned it. I can summon it in full, anytime, with the snap of a finger. Libraries share some of these qualities. The content of the books are not public domain, but their displays (the books) grant public access to their knowledge and information, which is in some ways better than owning them. Very likely, in the near future, I won't "own" any music, or books, or movies. Instead I will have immediate access to all music, all books, all movies using an always-on service, via a subscription fee or tax. I won't buy – as in make a decision to own -- any individual music or books because I can simply request to see or hear them on demand from the stream of ALL. I may pay for them in bulk but I won't own them. The request to enjoy a work is thus separated from the more complicated choice of whether I want to "own" it. I can consume a movie, music or book without having to decide or follow up on ownership." Ed Felten quietly applauds the retreat of drm in stored content, most specifically the music industry with Apple's apparent recent abandonment of it. "Last week's agreement between Apple and the major record companies to eliminate DRM (copy protection) in iTunes songs marks the effective end of DRM for recorded music. The major online music stores are now all DRM-free, and CDs still lack DRM, so consumers who acquire music will now expect it without DRM. That's a sensible result, given the incompatibility and other problems caused by DRM, and it's a good sign that the record companies are ready to retreat from DRM and get on with the job of reinventing themselves for the digital world. It remains to be seen how far DRM will retreat. Will it wither away entirely, or will it hang on in some applications? Meanwhile, it's interesting to see traditional DRM supporters back away from it. RIAA chief Mitch Bainwol now says that the RIAA is agnostic on DRM. And DRM cheerleader Bill Rosenblatt has relaunched his "DRM Watch" blog under the new title "Copyright and Technology". The new blog's first entry: iTunes going DRM-free." "The Supreme Court on Wednesday refused the federal government’s request to salvage a six-year-old law seeking to ban minors’ access to sexually explicit material on the World Wide Web. Acting on that law for the third time, the Justices simply declined to review a Third Circuit Court decision last July striking down the Child Online Protection Act of 1998. The Justices’ action came without comment and with no noted dissents in Mukasey v. American Civil Liberties Union, et al. (08-565)." Transformation or infringement? It seems that the guy who took the original photograph that became the basis for the Obama campaign's image promotions didn't know his photograph was the source, according to James Dazinger. 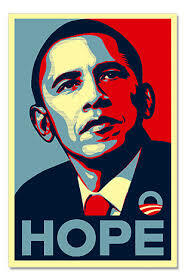 "I believe that last week I solved the biggest photographic mystery of the 2008 election: I found the photographer who took the photo that was the source for Shepard Fairey’s iconic Obama HOPE prints. A call to Reuters left their Washington desk reeling, but they put me in touch with their Media Pictures person in New York, a woman named Nancy Glowinski, who was cool, calm and collected. She did some checking, and confirmed that Jim Young had indeed snapped the photo in question. ... Reuters was initially—and understandably—put out that they hadn’t been credited as the original source of what turned out to be the presidential campaign’s most enduring visual image, but no laws had been broken. But perhaps the best proof that Fairey transformed the photo into something all his own is that Young, a Washington-based photographer who has taken, in his words, “thousands” of pictures of Obama, was not even aware that the most ubiquitous image of the election was based on his photograph. He’d seen the HOPE poster countless times and never made the connection to his own photograph, which he snapped at a 2007 Senate confirmation hearing." "I should have felt triumphant when I returned from Iraq in August 2006. Instead, I was worried and exhausted. My team of interrogators had successfully hunted down one of the most notorious mass murderers of our generation, Abu Musab al-Zarqawi, the leader of al-Qaeda in Iraq and the mastermind of the campaign of suicide bombings that had helped plunge Iraq into civil war. But instead of celebrating our success, my mind was consumed with the unfinished business of our mission: fixing the deeply flawed, ineffective and un-American way the U.S. military conducts interrogations in Iraq. I'm still alarmed about that today. I'm not some ivory-tower type; I served for 14 years in the U.S. Air Force, began my career as a Special Operations pilot flying helicopters, saw combat in Bosnia and Kosovo, became an Air Force counterintelligence agent, then volunteered to go to Iraq to work as a senior interrogator. What I saw in Iraq still rattles me -- both because it betrays our traditions and because it just doesn't work." Putting gunpowder in a clear plastic bag makes it safe to carry on a plane? Rhona Mahony seems to have discovered that putting the constituents of gunpowder into a clear plastic bag was all it took for her to be allowed to carry that gunpowder through airport security onto a passenger plane. May I suggest that our new Secretary of Homeland Security reconsider the billions allocated in the 2009 budget to the Transportation Security Agency and its 48,000 employees? Many thoughtful travelers know that the rigamarole we go through on the way to our airline gates is a show to comfort the ignorant, to keep them buying airline tickets. Tell the truth, save our time, save our money. Let us resume our old carefree stroll to the gate. Spend some of the $3 billion on real police work to catch the bad guys. That would make us safer." Priceless. Thanks to Bruce Schneier via the latest Crypto-Gram for the link. I've written to my MEPs asking them to oppose the directive shortly to come before the EU parliament on extending the term of copyright in sound recordings (going through committee this week and due for a full vote in parliament on 18th February). I've had four responses within 24 hours - from Andrew Reed on behalf of Nigel Farage (UKIP), Ashley Mote (independent), Sharon Bowles and Cath Miller on behalf of Caroline Lucas. UKIP oppose the directive not only on the grounds that it is EU legislation, all of which they oppose, but Mr Reed also said they would oppose such a term extension in the UK. As I'm also a writer I'd appreciate it if you could explain why you disagree. Thank you for your email on the extension of copyright term, which comes through its Committee stage this week. As my background before becoming an MEP was as a patent attorney, I have an interest in intellectual property matters, and I will be very involved in the progress of this legislation as a member of the European Parliament’s Legal Affairs committee. The background to this is that there has been a lot of high profile lobbying following a similar extension in the US. As you mentioned, Sir Cliff Richard and other leading performers have spearheaded demands for such an extension. Given that such artists had received good remuneration, I did not think their case was all that good. I have spoken to Charlie McCreevy, the Commissioner responsible for introducing this legislation, about this issue. He pointed out that these changes were not intended to protect featured artists such as Cliff and the Beatles, but to protect session musicians who contributed to sound recordings in the late fifties and sixties. I should mention that the Commissioner did try to stop the extra copyright unfairly advantaging the big media companies. The royalties received in the extended period would be used, among other things, to create a fund for session musicians, and an extension to the contracts that prevent musicians from re-recording will not be allowed. Record companies are now required to set up funds to pay 20% of revenue earned during the extended period. This fund goes to help session musicians and thus, in a sense, contributing to today's music culture. In advance of the report’s introduction to the Legal Affairs committee, I have tabled a number of amendments which I hope will create a more constructive piece of legislation, and which aim to allow extension but with sensible restrictions. Firstly I would like to see the proposed automatic extension to 95 years for all sound recordings replaced with a system whereby individual performers who have not received adequate remuneration can register for an extension of term. Whether to make an application would remain within the choice of the individual performer. This system would be transparent and an online register would be made of all extensions that have been granted. Secondly I would like to see any extension period, made subject to a free licence of right. Such licences of right could exist for private clubs and social broadcasts of attendance not exceeding 250 (thus allowing for events such as ‘60s nights). Under this amendment no copyright levy may be applied in any extended period. Thirdly I would like to see individual performers granted a ‘moral right’ in their performance that is unassignable and shall last for 95 years; this will be in order to prevent objectionable uses of their material. As part of this I envisage giving individual performers the right to receive unencumbered royalties in any period of extended copyright. However, the role of media companies in delivering the recordings still has to be considered one of the most effective ways of deserving performers obtaining royalties. Therefore, we have to look carefully at their role. As I have mentioned, the Legal Affairs Committee’s report is expected to go through the Committee stage this week, and I expect the legislation to be voted upon by the full Parliament on 18th February. Please be assured that I will be working to achieve a fair piece of legislation. Once again thank you for writing to me on this important issue. Please do not hesitate to contact me again if I can be of any further assistance. Many thanks for your prompt and considered response and I wish you luck in pursuing the thoughtful amendments you are proposing to the legislation. It is good to know there are MEPs with a deep understanding of the subject matter working to make an intellectual property directive more practical. Having said that your proposed amendments do generate the need to monitor media companies' revenue flows much more closely than before presumably? That in turn generates political hurdles which I'm sure you understand and it has potentially significant resource implications depending on how such auditing (not to mention enforcement) were to be done. I agree that if the legislation is to be workable the needs of all the key stakeholders, including the artists, the public and the media companies, have to be taken into consideration. As it stands, however, according to the Commission's own figures, 90% of the extra revenues would flow to the media companies, a further 9% to the top 20% of earners amongst the artists and about 1% to the remainder of artists and session musicians. The general public - one of the key generic stakeholders - pays for all this i.e. not only receives no benefits but actually funds the whole thing. (Even if you could ensure that media companies were forced to use 20% of their 90% (i.e. 18%) went into social fund schemes, it still means less than a fifth of the benefits would flow to the primary intended beneficiaries, the session musicians. Whilst I applaud the idea of requiring the media companies to set up social/pension funds, it may be better not to link them to the revenue flows which may prove very difficult to track in practice). So term extension is an economically very inefficient way of generating social/pension funds for session musicians. Though I appreciate it is politically more difficult to sell, a direct tax, for example, which funded a pension scheme for session musicians would be much more transparent and significantly less costly both from a financial and a social perspective. As a patent lawyer you'll be intimately familiar with the issue of the social costs e.g. in relation to orphan works etc. Commissioner McCreevy's laudable intentions to benefit the session musicians rather than the Cliff Richard's of the entertainment world can't be realised through the proposed term extension. In addition, as a chartered accountant and Irish finance minister for 7 years, Commissioner McCreevy should be intimately familiar with the kind of discounted cash flow models that demonstrate that copyright which lasts 95 years is worth more than 99%, in present value terms, of copyright that lasted forever. Whereas I very much appreciate your efforts to inject some balance into the directive, I would still request that you oppose it on my behalf, and certainly if it continues to go forward in its present form. Thanks again for your prompt and informed response. Thank you for your recent email about the Copyright Term Extension Directive. Caroline has asked me to respond on her behalf. She very much agrees with you that action is needed to better reward performers but she does not believe that this legislation is the solution. Greens are working closely with the Open Rights Group to oppose the Directive because the way it is framed profits owners of the rights to music and not performers. Record labels will be allowed to deduct “costs” from a fund intended to benefit session musicians, for example. In fact it is estimated that under this legislation 80% of profits from copyright deals would go to the media conglomerates and most of the remainder to the biggest recording artists. As you know, the European Commission’s own figures demonstrate that performers will barely benefit from the new terms. Caroline is also worried about the watering down of plans for so called ‘orphan works’ and commercially worthless but culturally significant recordings to enter the public domain; the widening of the scope of the Directive to include audio-visual recordings; and the way that the European Commission is seeking to rush the proposals through Parliament without adequate scrutiny by MEPs. The Green Party is committed instead to a system known as Creative Commons, which offers a flexible range of protections and freedoms for authors and artists. See http://creativecommons.org/ for further information. This position is based on a desire to encourage innovation and prevent large corporations from controlling and benefitting from our cultural legacy. She believes that, as well as developing alternative ways to support performers, writers and so forth, priority must be given to a far more open policy of sharing music, film, software etc via the internet. Office of Dr Caroline Lucas"
Many thanks for your prompt and considered response. It's good to know that the Green Party is opposing the directive and encouraging to hear you are working with the Open Rights Group on the issue. I'm also pleased hear you're familiar with Creative Commons licences - not, sadly, a universal feature of the upper echelons of the big political parties. I agree that it would be very difficult in practice to pin down record labels revenue flows in such a way as to ensure they would not effectively reneage on an obligation to support social funds to benefit session musicians. It would be less costly to the public to impose a direct tax to fund such a social welfare scheme. It would certainly be more economically efficient than extending the term of copyright and having the majority of the associated benefits flowing to the music companies and the top earning artists (and all of the costs accruing to the public). Thanks again for your prompt and thoughtful response and good luck to Ms Lucas and the Green Party in opposing the term extension directive.